Sometimes it happens to find a dress that looks like it's worth much ore than the actual price - I think it's the case with this tight floral dress I bought at H&M. I am in love with it, the cut, the print, the fabric !. A volte capita di trovare un abito che sembra valere molto di più del prezzo pagato, è il caso di questo abitino stretto a stampa floreale di H&M ! Lo adoro, il taglio, la vestibilità, i colori, la stoffa !. I accessorized the dress with a necklace I had already showed you a while ago and decided to wear my Fornarina pumps, they're incredibly comfortable as well as very cute with this lace effect and coral color. I added even more color with the Marc by Marc Jacobs bag !. Ho accessoriato l'abito con una collana che avevate già visto e ho deciso di abbinare queste open toes di Fornarina, sono comodissime e anche molto carine con un effetto pizzo e color corallo. Ho aggiunto ancora più colore con la borsa di Marc by Marc Jacobs !. Since I was going to have a busy evening and night (dinner, movies, going out and going back home very late), I decided to bring a jacket with me, a perfect excuse to wear my new motorcycle studded linen jacket from Zara !. I saw it at Zara and had to buy it - they also had it in mint color, but I opted for a bolder color. We went to see "Rock of Ages", which simply rocked ! I am a musical lover and I loved the music featured in the movie. Have you seen it ?. I love to stay outside when it's summer but I can't renounce to going to the movies, I love it too much !. Siccome mi aspettavo di fare tardi (cena, cinema e poi uscita, tornando a casa molto tardi) ho deciso di portare con me anche una giacca, una scusa perfetta per indossare il mio chiodo di lino borchiato di Zara ! L'avevo visto in negozio e me ne ero innamorata all'istante - l'avevano anche in menta ma ho optato per un colore più vivace. Siamo andati a vedere "Rock of Ages", veramente un bel film ! Sono un'amante dei musical e la musica usata nel film mi piace molto. Lo avete visto ?. Adoro stare all'aria aperta in estate ma non posso rinunciare ad andare al cinema, alcune passioni durano per tutto l'anno !. Favoloso, fresco, giocoso e trasmette tanta allegria!!! Complimenti!!! Love this dress and jacket! Very summery and elegant outfit! I like your jacket and bag a lot! molto bello, è una soddisfazione trovare un abito molto carino a un prezzo non astronomico!! Beautiful dress and purse! You look amazing! Che bella che sei. dove l'hai preso questo bellissimo vestito?? I love the dress, it definitely looks more expensive than H&M! Love the bag and jacket too...so much colour! Great dress--very pretty! I love the bag and jacket too! Check out my thrifted dress and designer shoes in my latest post and tell me what you think of the look! what a gorgeous dress! in love with that print! thank you for dropping by. happy to follow back, here and on bloglovin' (1757)! I ALMOST bought this dress yesterday, feeling some regret! I love this dress. The jacket from Zara is so pretty. I love this dress ever since I saw it on their website! You look amazing! ..effettivamente e' delizioso.. non avrei detto essere di H&M. Mi piace molto anche come l'hai abbinato!! Nossa que arraso! Amei tudo!! Até as pulseiras combinando! Que lindaaaa! Love your dress, you look awesome! and this biker jacket is fantastic! Love the classic elegant look with a fun colorful print. very cute bag! Love it! the dress is so beautiful on you! Lovely dress! Thank you so much for leaving a comment on my blog, we should keep in touch! I did follow you back, thanks! oh your dress, so pretty! The dress is BEAUTIFUL! Love the print and color. The jacket too! Il relax ci vuole! è da un pò che nn vado al cinema,purtroppo non ho avuto molto tempo. il tuo outfit mi piace molto,bella bella! Lovely outfit! I love the dress and these heels! Gorgeous! That dress is so beautiful! I love how you can match it with different colors! Very cute dress! And I like how you combined it with such colourful items! Spero di non risultare monotona ma mi piace tutto del tuo outfit, la collana poi è favolosa!!! Gorgeous dress with a stunning jacket is a chic combo! Wow, its looks so good! And I love your jacket. Beautiful floral outfit... so visually pleasing! That dress looks fabulous on you! You look amazing in this dress! And I love that bag! Dress and bag are gorgeous! This is a beautifl floral dress!!! And te red jacket is great!! I literally just came from H&M. I saw that dress and loved it! I tried it on and it didn't look nearly as good on me as it does as you. Thanks so much for your comment, want to follow each other? che Meraviglia...so Elegant, so Classy, so Chic!! Love Your choice of Colours: Great...You create a Look more Lovely than a Artwork! Fashion is Art and...Your coloured Outfit is indeed a Masterpiece of Art!!! Molti complimenti per il Tuo gusto del Bel vestire e per la Tua creatività così...Artistica!!! MAMMA!!! Veramente bella come sempre. Awesome floral dress, carinissimo! E anche le scarpe :) You always look pretty and smart. Auguri. Again, a lovely printed dress and you accessorized it so well! Il vestito ti sta una favola! Thank you so much for leaving a comment on my blog! I would certainly want us to follow each other through GFC! Let me know if you followed me already so I can follow back as soon as possible! Lovely dress, Love the classic elegant look. I understand your love for this dress, it is so perfect!! and the jacket is great! So jealz of that bag! Gorg dress! Following you, love if you follow back as planned. love the addition of the jacket!! gorgeous outfit! you look so lovely! and I really love your gorgeous dress! you are a total doll! 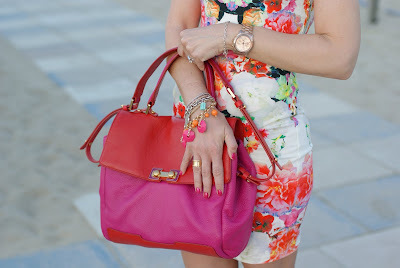 i love all of the amazing bright colors & everything goes together to beautifully! che bell'outfit. 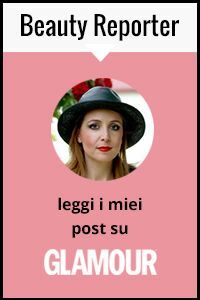 Complimenti per il blog. sono diventata follower subito. Thank you :) You are amazing with this floral dress and the biker jacket!! You have great blog and elegant look!! l am following you on bloglovin too!! I absolutely love the colors in this outfit; such a gorgeous combination! I LOVE your bag! You are so skinny, I wish I was like you. This outfit is so elegant and beautiful, Love it very very much. I would definitely wear this dress.